Background: Up to 50% of oncology drug use is considered “off-label,” defined as use for a purpose outside of the US Food and Drug Administration–approved indication for that drug. An Off-Label/Exception Order policy was developed at the Massachusetts General Hospital Cancer Center (MGHCC) in Boston that requires advanced review of treatments ordered outside of institution-approved treatment regimens. Clinical pharmacists prospectively review and approve off-label requests for parenteral cancer treatment at MGHCC. Objectives: To evaluate the role of clinical pharmacists in the off-label drug use review process, and to assess the pharmacist’s impact on the facilitation of patient care. Methods: This retrospective analysis involved review of off-label requests submitted at MGHCC between January 1, 2015, and August 31, 2015. The primary end point was the percentage of off-label requests that had advanced reviews by a clinical pharmacist. The secondary end points were the percentage of off-label requests that complied with the Off-Label/Exception Order policy, the percentage of off-label requests directed to oncology finance, assessment of reimbursement for select high-cost drugs, and the impact of the off-label review and approval process on pharmacy resources. Results: A total of 133 off-label requests were identified during the study period; of these, 99% of requests were reviewed by a clinical pharmacist before administration of the first dose, and 72% of requests fully complied with the policy. A pharmacy approval note, including a treatment plan and references, was documented in the electronic medical record for 93% of the requests; 28% of the requests required additional research or communication by a clinical pharmacist, for reasons such as dosing, monitoring, disease state, and patient-specific considerations. Conclusion: Clinical pharmacists play an integral role in the off-label review process at the MGHCC. In light of the increasing number and complexity of off-label drug use requests, additional pharmacy resources may be warranted to ensure timely and appropriate reviews that allow clinical pharmacists to maintain other professional responsibilities. Although the off-label use of drugs in oncology is not always inappropriate, such use may involve safety, efficacy, legal, and financial implications.4-8 Adequate information regarding the risk–benefit ratio may not be fully elucidated when using drugs off-label, which may predispose patients to untoward effects with uncertainty of the potential benefit.3 Clinicians and institutions may be subject to legal repercussions should negative consequences arise from off-label use of drugs.4 In addition, patients, institutions, and the healthcare system may be financially responsible for drugs used for off-label indications. Because of these ramifications, review of off-label use of oncology drugs before the initiation of treatment is paramount to optimize effectiveness and patient safety while demonstrating fiscal responsibility. The Massachusetts General Hospital Cancer Center (MGHCC) in Boston is a member of the National Comprehensive Cancer Network (NCCN) and is a National Cancer Institute–designated comprehensive cancer center. Massachusetts General Hospital is home to the largest hospital-based research program in the United States, and MGHCC maintains a robust research program that is considered a pioneer of personalized medicine.9,10 MGHCC is comprised of more than 37 treatment programs, with 29 multidisciplinary disease centers that serve more than 7000 newly diagnosed patients annually.11 Approximately 150 adults receive treatment daily at MGHCC main campus outpatient infusion unit, for a wide variety of oncologic indications. An Off-Label/Exception Order policy was developed at MGHCC for drugs used in oncology to ensure high-quality standards across the cancer center, promote safe and effective care, and demonstrate fiscal responsibility and accountability for drug costs. The off-label policy was developed by a multidisciplinary group that is comprised of clinicians, pharmacists, nurses, and cancer center and pharmacy administration, and was initially approved by the Massachusetts General Hospital Oncology Stewardship Committee in 2010. The policy is updated periodically based on feedback from stakeholders and changes in practice. The policy requires advanced review of parenteral cancer treatments ordered outside of institution-approved regimens for their respective oncologic diagnoses. The review is conducted by the requesting provider’s disease-group clinical director, a designated clinical pharmacist, and, if applicable, an oncology financial coordinator. Upon approval of off-label use requests, an approval note containing the intended treatment plan and supporting references is documented in the patient’s electronic medical record (EMR) by the clinical pharmacist. The clinical pharmacists responsible for off-label review are specialized in hematology oncology pharmacy, trained in the off-label review process, and designated as competent in their ability to analyze the safety, efficacy, and financial implications of oncologic treatment by the Ambulatory Oncology Clinical Pharmacy Manager. One clinical pharmacist is designated to monitor for and evaluate off-label requests each day in addition to his or her normal clinical activities and responsibilities. Figure 1 provides a general flowchart of the off-label drug use review process at MGHCC. 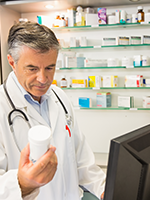 Pharmacists have expertise and advanced training in the safe, effective, and appropriate use of medications. Paradigm shifts in the US healthcare landscape have created opportunities for clinical pharmacists to provide direct patient care services and become more integrated in healthcare teams. Clinical oncology pharmacists possess extensive knowledge of the drugs, toxicities, and phamacoeconomics associated with oncologic treatments. Based on these qualifications, clinical oncology pharmacists are involved in designing, implementing, monitoring, and modifying therapy plans for patients with cancer.12,13 As part of the off-label drug use review process at the MGHCC, clinical pharmacists evaluate off-label oncology treatment requests for appropriateness based on patient specific characteristics, available evidence, and alternative therapy options. The purpose of this study was to evaluate the role of clinical pharmacists in the off-label drug use review process, and to assess the pharmacist’s impact on the facilitation of patient care at MGHCC. A retrospective review of all requests submitted to the MGHCC off-label e-mail inbox between January 1, 2015, and August 31, 2015, was conducted to identify patients for whom off-label oncology treatments were requested. This study was approved by the Massachusetts General Hospital Institutional Review Board. The primary end point was the percentage of off-label use requests reviewed and approved by a clinical pharmacist before the administration of the first dose. The secondary end points included the percentage of off-label requests that complied with the policy; the impact of off-label review and approval on pharmacy resources (ie, pharmacy approval notes in the EMR, median number of e-mails per request, number of requests with ≥4 e-mails, requests requiring additional research by a pharmacist); the percentage of off-label requests directed to oncology finance; and assessment of reimbursement for select high-cost drugs. Data were collected via the MGHCC off-label e-mail inbox, EMR, and hospital billing systems. Information collected included the dates of clinician request and pharmacy approval, stage of disease, requested treatment, setting of request (ie, inpatient or outpatient), facility, and insurer (eg, government or private). Requests were reviewed for compliance with the off-label policy, including reviewed and approved by the clinical director and pharmacy, submitted ≥3 business days ahead of planned treatment, and references provided. Requests were reviewed against the NCCN guideline recommendations, as well as other published literature supporting use, when applicable. E-mail inbox communications were evaluated to assess the pharmacist research activities and correspondence with the requesting providers, clinical directors, and oncology finance coordinators. Reimbursement data were collected for select high-cost drugs. Descriptive statistics were used to analyze the data using Microsoft Excel 2007. A total of 133 off-label requests were identified during the 8-month study period. There was an average of 17 requests monthly, and the number of monthly requests generally increased over the study period (Figure 2). The majority (94%) of requests were for outpatient treatments, and 89% of the requests were for the MGHCC main campus. The stage of disease was described as relapsed, refractory, or advanced or metastatic for 90% of the requests. FDA approvals or support from NCCN guidelines were evident for 22% of requests, whereas 8% of requests were submitted without published examples of use for the specific indication. 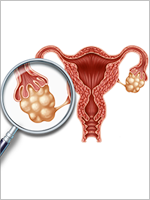 Requests were submitted on the day of the planned treatment in 16% of cases. The primary and secondary outcomes are outlined in the Table. A clinical pharmacist prospectively reviewed 99% of treatment requests before the first dose. The median time to pharmacy approval was 1 day (range, 1-42). The majority (72%) of requests fully complied with the Off-Label/Exception Order policy. Reasons for policy noncompliance were submission fewer than 3 business days before the intended treatment (73%), submission without supporting references (16%), submission with fewer than 3 business days’ notice and no references (8%), and no off-label request submission (3%). A pharmacy approval note was documented in the EMR for 93% of the requests for patients who received treatment at the MGHCC main campus. A median of 2 e-mails (range, 1-12) per request were sent by the evaluating pharmacist. The evaluating pharmacist sent ≥4 e-mails during the evaluation for 18% of requests. Additional research by the evaluating pharmacist was required for 28% of requests. More than half (N = 77; 58%) of all requests were directed to the oncology finance coordinators by a clinical pharmacist. The majority of these requests were for nivolumab (N = 18; 27%), bevacizumab (N = 17; 24%), trastuzumab (N = 8; 12%), and pembrolizumab (N = 6; 9%). Of the requests for select high-cost drugs evaluated for reimbursement, 82% were reimbursed by a third-party payer. One aim of our study was to evaluate the role of clinical pharmacists in ensuring advanced review and approval of off-label use requests for oncology treatments and the facilitation of appropriate patient care at MGHCC. Our data revealed that clinical pharmacists are highly involved in the review of off-label oncology treatment requests at the MGHCC. Nearly all off-label treatment requests during the study period were prospectively reviewed by a clinical pharmacist, and the median time to pharmacy approval was 1 day. These findings demonstrate the pharmacists’ commitment to policy compliance, contribution to patient care through competent therapeutic review, and facilitation of treatment with off-label oncology treatments in a timely, appropriate manner. The wide range found in the time to approval of requests was primarily dependent on discussions with clinicians regarding the treatment plan, financial coverage investigation, and coordination with health insurers. The sole off-label treatment during the study period that was not prospectively reviewed by a clinical pharmacist was initiated when the patient was hospitalized, and the request was not submitted to the off-label e-mail inbox. Our findings also highlight the involvement of clinical pharmacists in the coordination of treatment with off-label use of cancer drugs at MGHCC. A pharmacy approval note was documented in the patient’s EMR for more than 90% of requests for patients receiving treatment at the MGHCC main campus. The off-label pharmacy approval notes contained key information about the patient’s condition (ie, cancer-specific characteristics and previous treatments) and planned treatment (ie, intended drug dosing and frequency, monitoring, rationale for use, and supporting references). The availability of this information in the EMR contributes to treatment coordination for infusion center nurses and pharmacists, and avoids delays in appropriate patient care. In addition to clinical coordination, the clinical pharmacists prompted a financial evaluation for more than 50% of the off-label requests submitted during the study period. The MGHCC received payment for the majority (82%) of the high-cost drugs that were evaluated for third-party reimbursement. Conducting a financial evaluation before the initiation of off-label use of high-cost oncology treatments can limit the financial liability incurred by institutions and by patients. Another goal of this study was to evaluate the impact of off-label use review and approval on pharmacy resources at the MGHCC. The evaluating clinical pharmacists were involved in active communication between the requesting providers, clinical directors, and oncology finance coordinators regarding the treatment plan. A median of 2 communications per request (range, 1-12) were sent by the evaluating clinical pharmacist. Nearly 30% of all requests required additional research and communication by the clinical pharmacist, for reasons such as identifying published references, clarifying dosing, ensuring the presence of disease targets (eg, mutations), and providing recommendations on monitoring and concomitant medications (eg, antiemetics). These findings suggest that a significant amount of pharmacy resources are required to ensure appropriate review of off-label oncology treatment requests. In addition, 16% of requests were submitted on the day of the planned treatment, which may result in unnecessary burden on infusion center operations. In this setting, the clinical pharmacist conducted an expedited review to ensure that patients received appropriate therapy without delays in care and unnecessary visits to the cancer center. An average of 17 off-label requests were received monthly during the study period, and the number of those requests increased over time, from an average of 8 monthly requests before the study period. The growing number of requests directly affects the clinical pharmacists who are reviewing off-label use requests. This warrants close monitoring of trends in the number of requests submitted to ensure that appropriate resources are available for all patient care areas that are under the pharmacists’ oversight. It is also possible that not all off-label drug treatments were captured, such as in cases where a treatment plan was ordered with an incorrect associated indication. An example scenario is the case of non-Hodgkin lymphoma, which has a broad disease group classification in the order entry system despite having multiple subtypes. In addition, recent FDA-approved or compendia-recommended drugs were submitted as off-label requests before their availability in the order entry system. This might have resulted in an overestimation of the number of true off-label requests received and evaluated during the study period. In addition, the off-label use of oral oncolytics was not routinely reviewed for approval at MGHCC at the time of the study, and thus was not evaluated. Information and communications about the requests and/or treatment plans were not captured if they were not documented in the off-label e-mail inbox or EMR. This might have led to an underestimation of the extent of involvement of the clinical pharmacists in the off-label review process if additional coordination took place without documentation in these systems. There was also a lack of data points to quantify the extent of pharmacist involvement and impact on resources. The time spent by clinical pharmacists on the evaluation of requests was not captured, which limits the ability to truly assess the pharmacy resources required for the review of off-label oncology treatment requests. Dr Zangardi, Dr Kim, and Dr Blouin have no conflicts of interest to report. Prowell TM, Theoret MR, Pazdur R. Seamless oncology-drug development. N Engl J Med. 2016;374:2001-2003. The White House, Office of the Press Secretary. Fact sheet: investing in the national cancer moonshot. Published February 1, 2016. www.whitehouse.gov/the-press-office/2016/02/01/fact-sheet-investing-national-cancer-moonshot. Accessed June 12, 2016. Krzyzanowska MK. Off-label use of cancer drugs: a benchmark is established. J Clin Oncol. 2013;31:1125-1127. American Cancer Society. Off-label drug use. Revised March 17, 2015. www.cancer.org/treatment/treatmentsandsideeffects/treatmenttypes/chemotherapy/off-label-drug-use. Accessed October 20, 2015. National Cancer Institute. Off-label drug use in cancer treatment. Published January 1, 2014. www.cancer.gov/about-cancer/treatment/drugs/off-label. Accessed October 20, 2015. Levêque D. Off-label use of anticancer drugs. Lancet Oncol. 2008;9:1102-1107. Levêque D. Off-label use of targeted therapies in oncology. World J Clin Oncol. 2016;7:253-257. Conti RM, Bernstein AC, Villaflor VM, et al. Prevalence of off-label use and spending in 2010 among patent-protected chemotherapies in a population-based cohort of medical oncologists. J Clin Oncol. 2013;31:1134-1139. Massachusetts General Hospital Research Institute. The Massachusetts General Hospital Research Institute by the numbers. www.massgeneral.org/research/about/facts.aspx. Accessed March 28, 2018. Massachusetts General Hospital Cancer Center. About the center for cancer research. www.massgeneral.org/cancerresearch/about/. Accessed May 10, 2016. Massachusetts General Hospital Cancer Center. About the cancer center. www.massgeneral.org/cancer/about/. Accessed March 28, 2018. Council on Credentialing in Pharmacy, Albanese NP, Rouse MJ. Scope of contemporary pharmacy practice: roles, responsibilities, and functions of pharmacists and pharmacy technicians. J Am Pharm Assoc. 2010;50:e35-e69. Sessions JK, Valgus J, Barbour SY, et al. Role of oncology pharmacists in light of the oncology workforce study. J Oncol Pract. 2010;6:270-272. Kalis JA, Pence SJ, Mancini RS, et al. 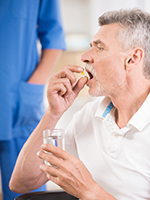 Prevalence of off-label use of oral oncolytics at a community cancer center. J Oncol Pract. 2015;11:e139-e143. Bond CA, Raehl CL, Franke T. Clinical pharmacy services, pharmacy staffing, and the total cost of care in United States hospitals. Pharmacotherapy. 2000;20:609-621.